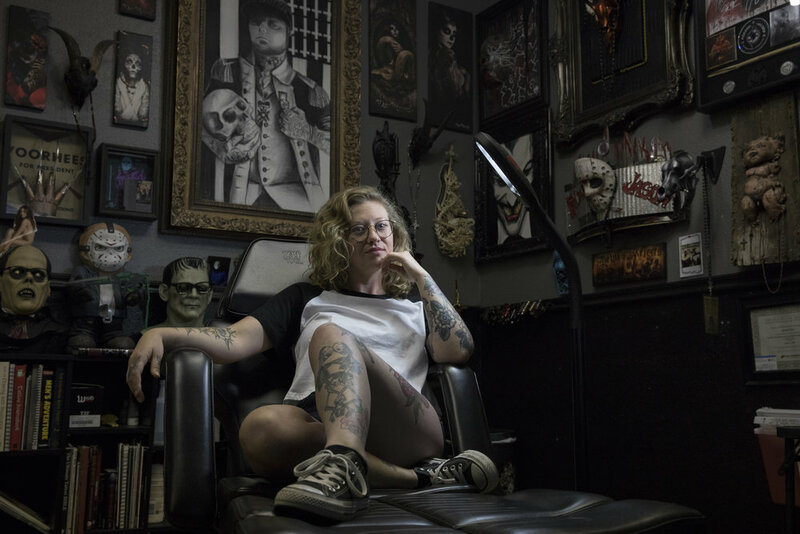 Jordan Allred, 25, a local tattoo artist poses for a portrait at Resurrected Tattoo on Friday, July 27, 2018. Allred has lived in Idaho for 23 years, and she said being an Idahoan means, "community, being a friend and humble." Merlei Cherry, 12, a seventh-grader at Roots International Academy, cries after Oakland Unified School District voted 6-1 to close Roots on Monday, January 28, 2019. The school will close at the end of this school year. Students will be transferred to nearby schools. Emily Berneking, a sixth-grader in Columbia Independent Schools, smiles when the pronouncer reads the definition of "bezoar" at the Regional Scripps Spelling Bee in Fisher Auditorium, Gannett Hall on Tuesday, March 13, 2018. Berneking spelled the word incorrectly. Boise Police Chief Bill Bones was visibly emotional during a press conference for the stabbing rampage at a 3-year-old’s birthday party on Sunday, July 1. Six of the nine victims are children. “These are victims who in their past homes have fled violence from Syria, Iraq and Ethiopia,” Bones said. 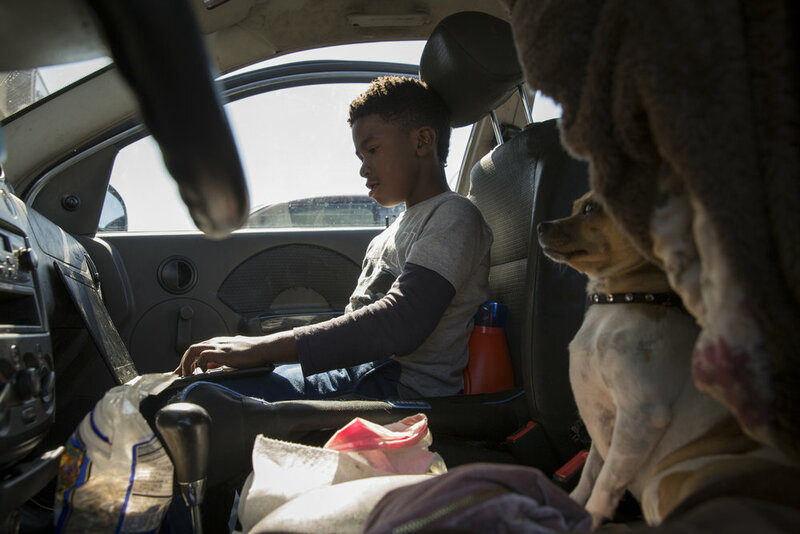 David Johnson plays video games in a sedan with his dog Tinker Bell sitting next to him in Richmond, Calif., on Saturday, Oct. 13, 2018. Johnson used to live in this car with his mother, sister and Tinker Bell. Wenfang Yang, an MU visiting scholar from Shanghai Normal University, stretches out her right arm in the Health Qi Gong class on Tuesday, March 7, 2018 at Mizzou North. MU Confucius Institute began offering this class in early January this year. Gage Hecht, right, races at the men’s pro at 32nd annual Boise Twilight Criterium in downtown on Saturday, July 14, 2018. Hecht finished as the men’s pro winner. Kassius Robertson drives the ball while Xavian Stapleton chases during Missouri's 89-85 overtime victory over Mississippi State on Saturday, Feb. 10, 2018 at Mizzou Arena. Robertson scored a team-high 22 points. Arms stretched back, Missouri's Matt Berler reaches to catch his batting helmet that flies off his head as he sprints toward first base during a game between Missouri and Alabama A&M on Tuesday, Feb. 27, 2018 at Taylor Stadium in Columbia, Mo. The Missouri Tigers Baseball Team defeats Alabama A&M 7-3 in Missouri's first home game of the season Tuesday night. Battle’s Jarel Hyler, left, attempts to tag Rock Bridge’s Tony Pascucci during a game Tuesday at Battle High School in Columbia, Mo. the Spartans won the game 1-0 on a walk-off walk. Emily Talbot, center, waves a rainbow flag to support a speaker during a rally at 2018 Boise Pride Festival in downtown Boise on Saturday, June 16, 2018. Talbot identifies herself as bisexual. 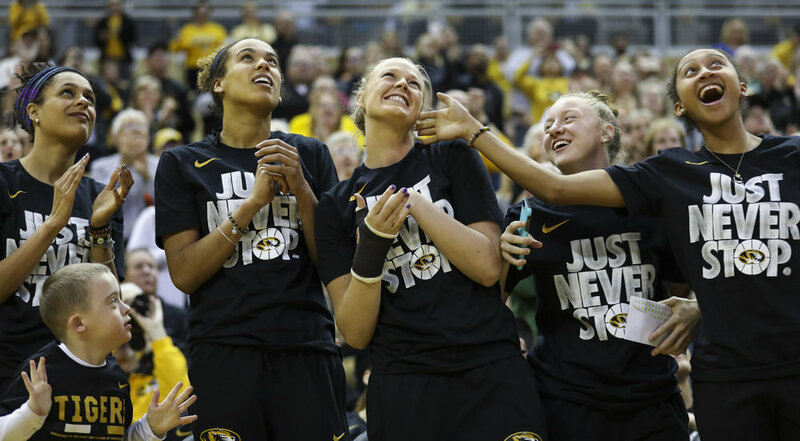 Looking up at the jumbotron, Missouri women’s basketball players cheer as Sophie Cunningham, center, is recognized as one of five finalists for the 2018 Cheryl Miller Award during the Tigers’ NCAA Tournament Selection Show watch party Monday at Mizzou Arena. “What platform would best deliver this story?” This is the question I ask myself every time I find an interesting idea. I am Meiying Wu, a visual journalist fluent in English, Mandarin, Cantonese and Taiwanese now based in Berkeley, California. I have been working in newsrooms in China and the U.S., including newspaper, magazine, radio station and TV station. A passion for visual storytelling is what drove me far away from home. Every element I produce aims to add a layer to the story.